The only real criticism of 2009’s appropriately named ‘Monolith’ was that it often lacked direction, occasionally meandering instead of constantly delivering across the albums hour long length. It will come as a relief to fans then that ‘Silver Door’ is a much more polished and driven collection of songs that still manage to sound huge. Of course, you’d expect nothing less from Andrew Neufeld, lead vocalist of both Comeback Kid and Sights and Sounds, but he manages to surpass a lot of his past material in terms of quality on the second release of his side project. First track ‘Poli’s Song’ opens with a short and surging guitar riff before exploding into instrumentals that put The Gaslight Anthem to shame and this roaring and anthemic guitar and drum work punctuates the EP’s more powerful moments, breathing life and energy into every minute of the twenty-three that ‘Silver Door’ contains. Dark and brooding low tuned guitars often give way to exhilarating and dynamic barrages of noise, with Neufeld coming in to join the controlled semi-chaos. Even the starker moments of the EP like the brief respite the opener features carries a sense of majesty that only ability as a musician can inspire. In terms of ability, Sights and Sounds have it in abundance because ‘Silver Door’ is technical and exhilarating rock music, with a fair share of sing-along moments and boisterous instrumentals. There’s plenty of both on second and best track ‘Cards In Place’ which contains gang vocals aplenty, a heavier section, and climaxes on a stunning crescendo with Neufeld pushing his voice to the limit. Moments like these, were Sights and Sounds work, seemingly in tandem, produce some of the best soundscapes to make it onto record this year, and it sees them take the sound of their debut and crank it up notch, making for a bigger and more expansive group dynamic. ‘Nothing At All’ chugs along in a style reminiscent of Thrice, with more focused vocals that allows Neufeld a more emotional delivery, crying out ‘I feel nothing at all’ over chugging guitars and crooning backing vocals, before the song ends on another surging finale. Fourth track ‘Hold Onto Me’ explores an even darker sound, initially featuring haunting vocals and instrumentation before expanding and bringing in Neufeld’s most aggressive contributions, straight from ‘Symptoms And Cures’. For a lot of ‘Silver Door’ Neufeld focuses more on melodic than menacing vocals, but when he lets loose his band mates follow cue, meaning there’s a good mix of sounds on ‘Silver Door’, which also manages to steer away from the ballad-like tracks that polarized opinions on their debut. As with everything Andrew Neufeld lays pen to, ‘Silver Door’ is excellently written, both lyrically and musically. Songs seem to drop off or burst to life at exactly the most effective moment, whilst the lyrics are both poignant and claustrophobic. It’s only a small step up from their spirited debut but ‘Silver Door’ seems much more intimate, yet surprisingly warm and absorbing. At its core, it’s heartfelt rock music with darker overtones, and for the most part it sounds incredible. 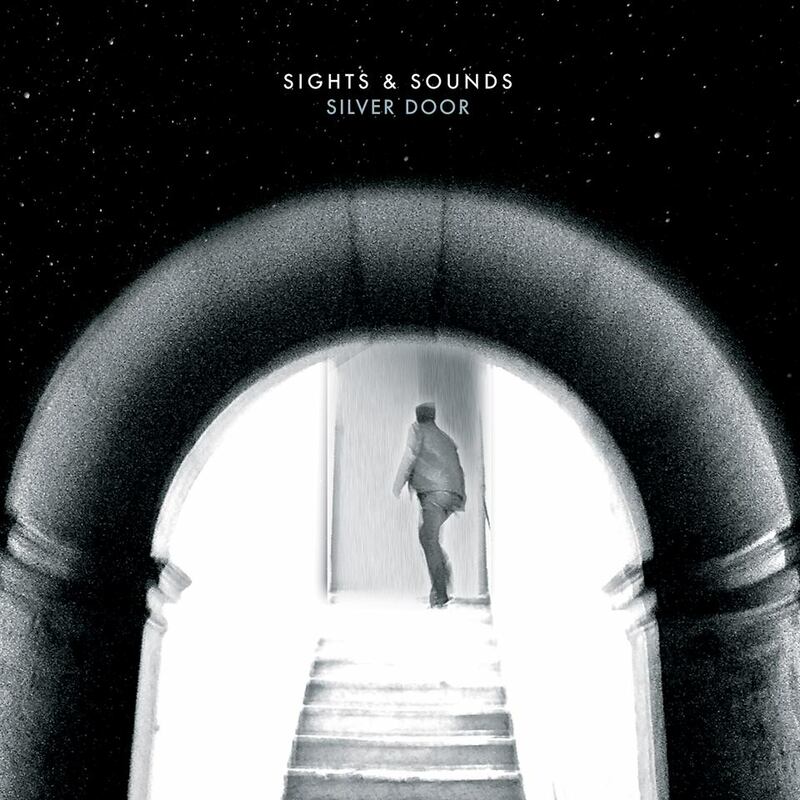 Sights And Sounds have released one of the best EPs of 2013 in ‘Silver Door’, and it serves as an excellent transition from ‘Monolith’ to whatever their next step musically is. Hopefully it’s even bigger and better, but it would take a lot to top this offering.